The full JSTOR Table of Contents is available here. 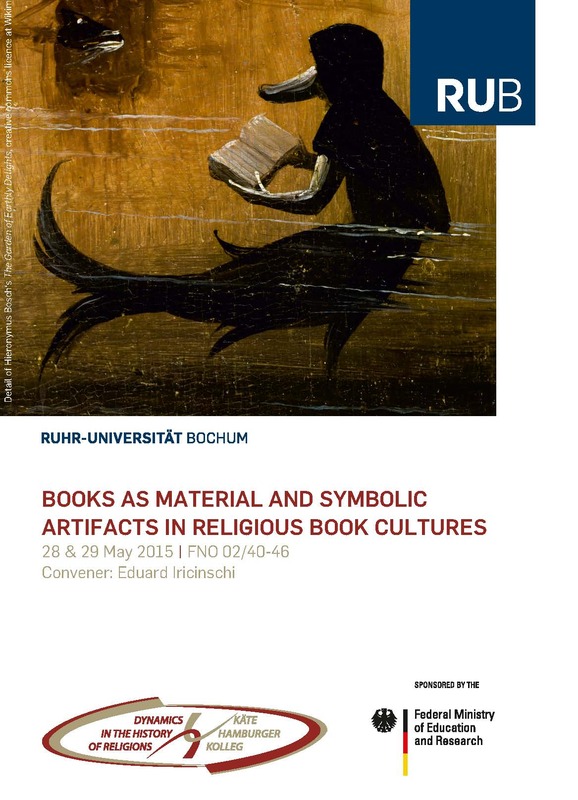 The Käte Hamburger Kolleg Workshop on Books as Material and Symbolic Artifacts in Religious Book Cultures will analyze the connections between books and manuscripts as material artifacts and the formation of religious book cultures before the printing era. It will also explore the ways in which, in religious book production, the medium, in its forms of “human and institutional interactions,” influences the transmission of the religious message, allowing for the material format to receive further alterations from the religious message itself. Finally, this workshop will investigate interactions between modern religious groups and the very academic books which describe them.